When you think of menopause, you may picture a woman in her 50s or early 60s. In reality, this is often not the case and there is no set time for it to occur. It may occur as early as the late 30s and 40s for a variety of reasons. Perimenopause is the transitional phase that begins several years before the cessation of menstruation officially occurs. It is the stage during which most women say they are "going through menopause". During this period, the ovaries gradually make less estrogen until they cease to release eggs. Women experiencing perimenopausal symptoms may have hot flashes, a low libido, irregular periods that are heavier than normal, spotty, or occur erratically, vaginal dryness, urine leakage, mood swings, trouble sleeping, or they may just feel generally fatigued. This phase often begins in a woman's late 30s or early 40s but may occur sooner due to a variety of reasons. If perimenopause ends by the time a woman is between 40 and 45, it is medically referred to as premature. Prolonged stress, tobacco use and damage from cancer treatments are all common reasons the ovaries may cease to release eggs. Autoimmune disorders are another prevalent reason for premature ovarian failure. When the immune system begins to attack healthy cells, it is referred to as an autoimmune disorder. Thyroid disease, rheumatoid arthritis and diabetes are all common autoimmune disorders that may cause antibodies to attack the reproductive system, rendering the ovarian function useless earlier than it naturally would have stopped functioning. If a patient undergoes an oophorectomy or some forms of a hysterectomy she may experience perimenopause immediately or she may feel like she skips this phase altogether. An oophorectomy is the surgical removal of one or both ovaries, often performed for medical reasons or to remove the possibility of conception. A total hysterectomy with a bilateral salpingo-oophorectomy is the removal of the uterus, cervix, fallopian tubes and ovaries. 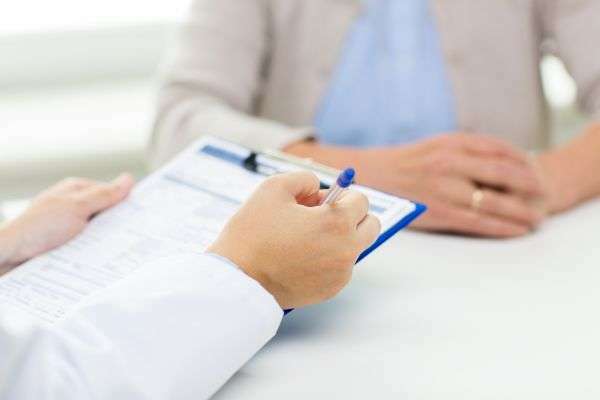 During both of these surgeries, the producers and releasers of estrogen, the ovaries, are eliminated, causing an immediate introduction into premature menopause no matter what the patient's age is at the time of the surgery. If a patient undergoes a hysterectomy only, which is the removal of the uterus but not the ovaries, she may enter perimenopause instead. Many women opt to have a form of hysterectomy performed in order to correct another issue such as fibroids, cancer risk reduction, a uterine prolapse, or endometriosis. A few less common causes are medications, viral infections, or trauma. Many patients feel as though they are experiencing perimenopause earlier than others in their age range which often causes concerns. The questions surrounding the symptoms of perimenopause can easily be answered by visiting a physician. 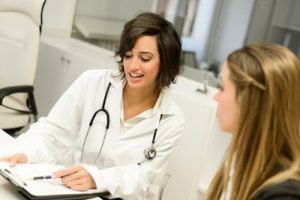 If you are experiencing fatigue, unusual or erratic periods, sleeplessness, headaches, or any other abnormal symptoms or you are considering a hysterectomy or oophorectomy and you are concerned about the changes that may occur following these procedures, schedule an appointment with us today to put your mind at ease. Menopause is a complex topic that can easily be broken down into comprehensible information by a physician in our office.